These are not a real estate tours but a lifestyle tours for people of all ages who are thinking of moving here. At the request of former clients a few carefully selected properties are included to give you a sampling of what different living situations are like. Furthermore don’t confuse these government LICENSED and COMPRHENSIVE tours below with other similar tours. 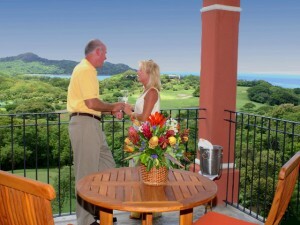 These tours are also RECOMMENDED by the Association of Residents of Costa Rica (ARCR). You Can Read Articles in Our Retirement Section Here. The tours are the FIRST logical choice before making the move, MORE than one day and cover different areas of the country. See what it is is like to REALLY live in Costa Rica. When the tour is over you will have all of the CONTACTS and and information you need to make the move SUCCESSFULLY. ALL tours include a comprehensive two-day seminar and extensive touring of the BEST areas to live for foreigners. ALL of our tours are led by an experienced bilingual real retirement /relocation EXPERT (32 years) and Costa Rica citizen who has written a BESTSELLER on the subject. Sign Up Through The Costa Rican Times and Receive a FREE hard back copy of the 16th edition of the bestselling “New Golden Door to Retirement and Living in Costa Rica.” At the conclusion of the tour they also receive FREE eBook copies of Christopher Howard’s other one-of-a-kind bestsellers: “Official Guide to Costa Rican Spanish,” “The Official Guide to Real Estate In Costa Rica” and “The Official Guide to Costa Rica’s Legal System for Tontos (dumbells).” Almost 1700 pages of INVALUABLE insider information for FREE and a $100 value. Be Contacted by Christopher Howard Personally Today and Tour Participants Get His FREE Book ($100 Value) By Filling in the Form Below.